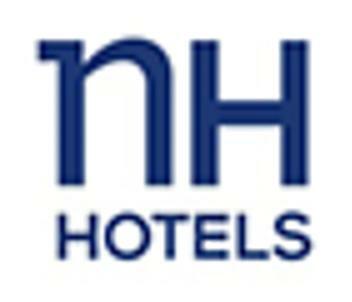 NH Paseo de la Habana is a modern hotel 950 feet from the Santiago Bernabeu stadium and less than 10 minutes from Paseo de la Castellana and Madrid’s Palacio de Congresos. The rooms at NH Paseo de La Habana have modern décor and private bathrooms. All feature satellite TV, minibar and a choice of pillows. NH Paseo de la Habana has a restaurant offering traditional Spanish dishes. Guests can enjoy a varied buffet breakfast. There is also a coffee shop and bar on-site. The hotel has a 24-hour front desk and offers free Wi-Fi throughout the property. The hotel is just a quarter mile from the nearest shops and restaurants, and a quarter mile from Colombia Metro station. The airport can be reached in 20 minutes by metro.